Discover how Openbravo can help restaurants achieve higher agility and better customer service. Restaurant chains are also looking for ways to improve customer experience, better manage their restaurants, and accelerate growth, often in the context of a the franchise model. New technologies such as tablets for waiting staff, new management solutions, mobile payments and home delivery platforms have arrived at many restaurants and seem destined to stay. 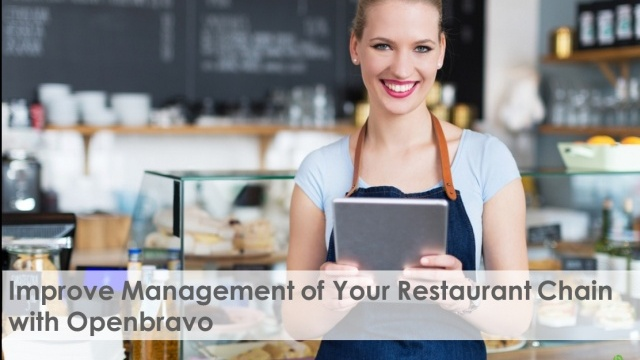 This presentation offers a snapshot of the functionality that Openbravo now offers to restaurant chains, including specific features for table reservations, recipes or menu management, backed by a wide horizontal functionality of POS and ERP. Together, these features allow restaurant chains to rise up to the new challenges in the sector and pursue new growth opportunities.